Original Source STorage is a profession products of electronic storage device. Include readable / writable computer internal and external drive device, Memory Card, SSD HDD and more …..
Use the troubleshooting instructions below if you install CD, DVD or Blu-ray drive is not able to read any discs or unable to recognize any discs. The instructions will help you resolve the problem in some... Read More | Share it now! What to do if you get a CD or DVD stuck in your computer’s optical drive and it won’t eject? You can take several steps to troubleshoot stuck DVDs or CDs Computers are what they are, complex. Meaning, a stuck... Read More | Share it now! Optical drives are becoming less relevant when it comes to their use but many people may still want to have the ability to load software from physical media, play a high definition Blu-ray movie on their computer, listen... Read More | Share it now! USB 3.0 Device Installation Method For Windows 7 / 8 / 10 USB 3.0 also supports lower operating speeds: high speed, full speed, and low speed. Along with increased bandwidth, USB 3.0 host controllers and devices come with... Read More | Share it now! If you’ve purchased a 4K Ultra HD TV, you also want some 4K content to watch on it. More content is being offered, including some streaming from sites like Netflix, VUDU, and Amazon. At the same time, more and more... Read More | Share it now! 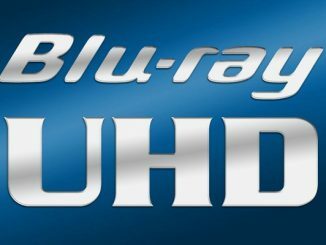 Why can’t read or play Blu-Ray DVD disc? The technology is perfect in this day, perhaps there are some bugs exist accidentally. In fact, that is a very small matter and easy to resolve. The problem maybe include Hardware defective, Region, Compatibility, Disc... Read More | Share it now!